American Canine Institute provides many training programs, but above all we open our training classes to all breeds of dogs. A.C.I. has been professionally training canines since 1959. The training method used is a motivational praise and correction balance. We DO NOT use food or clickers in our training programs. A.C.I. offers group and private classes and Board and train programs year round. 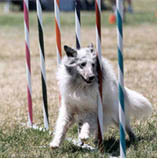 We offer all levels of training for you and your dog. There are “NO” training waiting lists since all of our classes are continuous entry. This means you and your dog can start training at your convenience. Service Dog Training now offered for all types. Group classes are limited to 15 teams plus the trainer. Please contact us for a class location nearest to you. Private lessons are offered in your home, or at our facility. 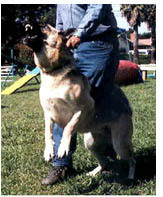 Typically, private lessons are limited to a dog, handler and the trainer and we have family plans available. Group and Private lessons meet once a week for 1 hour for 8 weeks. Board and train programs are tailored for your pet. The pet stays at our resort for a working vacation, where they receive personal training of your choice. Behavior modification Programs are offered to resolve behavioral problems that are the result of inter-actions between your pet and its’ people, plus other elements in their environment. Regardless how a behavioral problem was created, no guilt feelings are warranted, only a resolve to eliminate the problem! American Canine Institute has an open training policy for all classes, we accept drop ins for those teams that need a little practice or refresher for fun or competition. Please contact us for a class schedules. FREE: Dog temperament and behavior evaluations given by appointment only. Make that appointment today! A.C.I. offers seminars and talks through out the year on many topics such as: Canine Good Citizen, Temperament evaluation, Obedience, Home protection dogs and more. Please contact us if your organization, club or group would like us to talk at your next function.